A semi Black Opal and Diamond ring in 14k Gold with a unique and intriguing stone. A semi Black Opal and Diamond for women that has fantastic colors and pattern and will appeal to those who want something special. 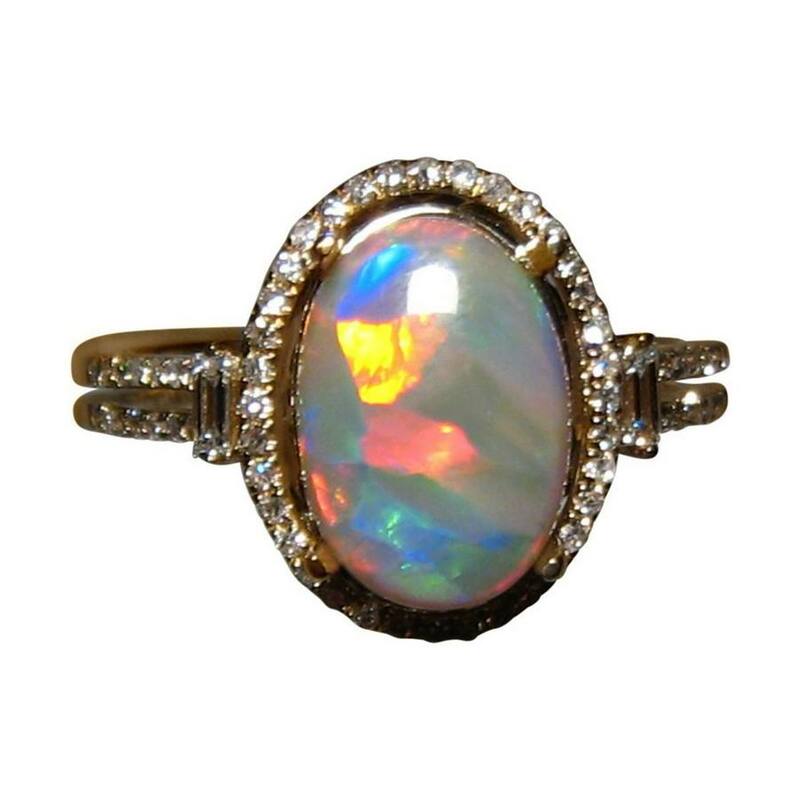 This semi Black Opal from Lightning Ridge is shown in a 14k Yellow Gold ring pave set with small quality Diamonds around the Opal and on the band with a Baguette Diamond on each side. The Opal weighs just over 2 carats and with the Harlequin play of color, this Opal will stand out as it flashes the Red and Aqua and you will see these attributes in the video below. 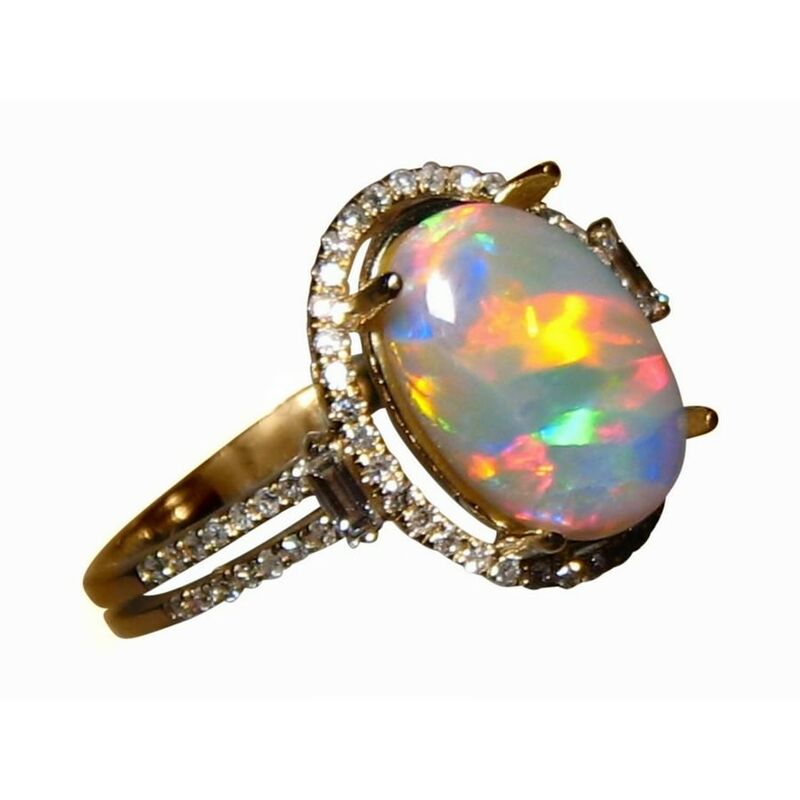 It is a unique and beautiful Opal ring that is ready to ship in size USA 8 ¼ or will take about 21 days for any other ring size or change of Gold color with the stone securely set after purchase. 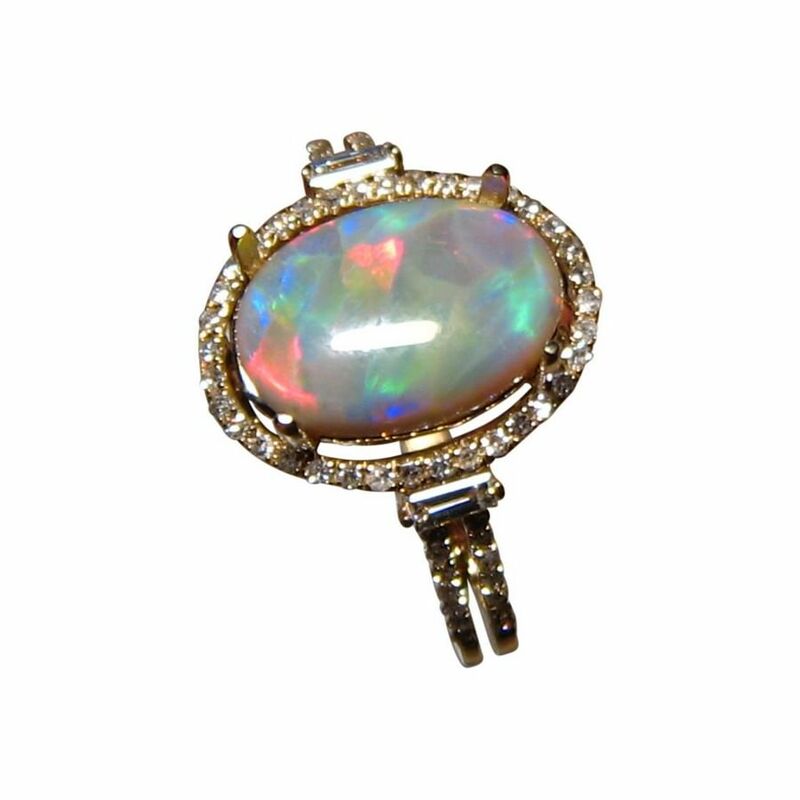 If you would like the Opal mounted into a different style of setting, or would prefer larger Diamonds, contact through this product for a no obligation price quote.